Jun 21, 2016 – TORRANCE, Calif. 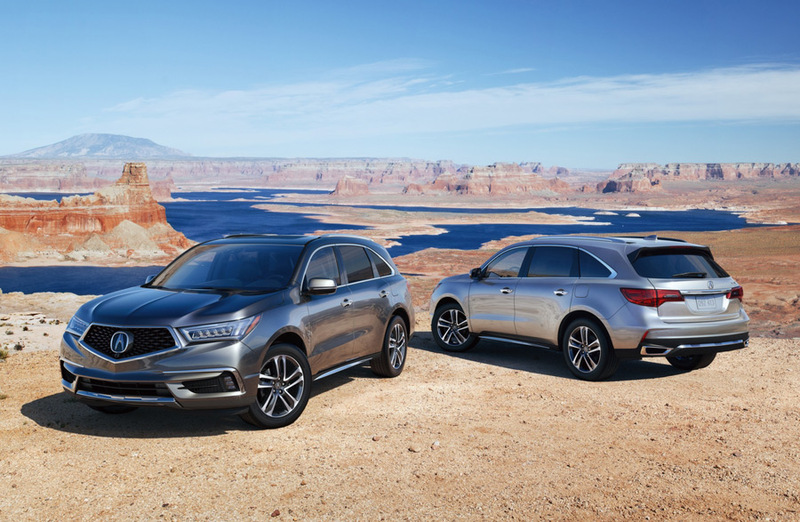 The restyled and refreshed 2017 Acura MDX, the best-selling three-row luxury SUV of all time, goes on sale tomorrow at Acura dealerships nationwide with a starting MSRP of $43,950. 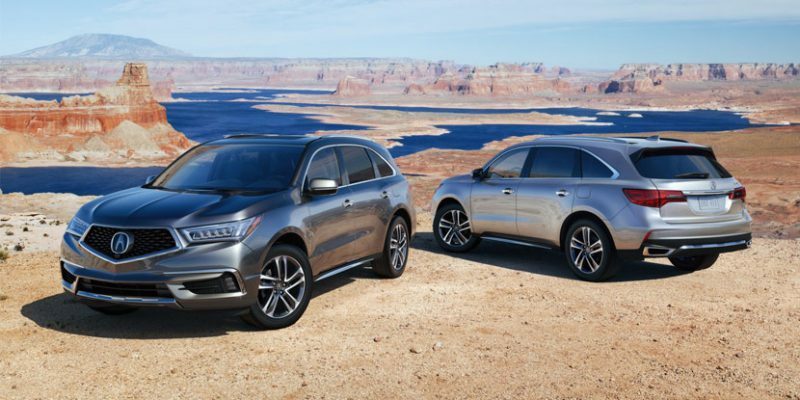 The 2017 Acura MDX raises its game with bold new exterior styling, larger wheel and tire options and an expanded complement of premium features and technologies, including the AcuraWatch™ suite of advanced safety and driver-assistive technologies, now offered as standard equipment on all 2017 MDX models, a first in the luxury SUV segment. 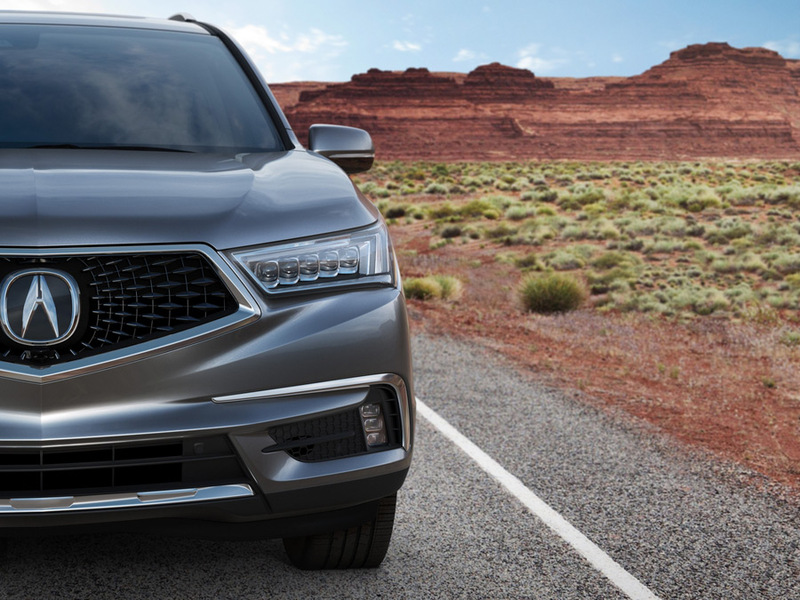 Featuring refreshed exterior styling inspired by the Acura Precision Concept, the 2017 MDX is highlighted by the new face of Acura, the bold and distinctive Diamond Pentagon grille. 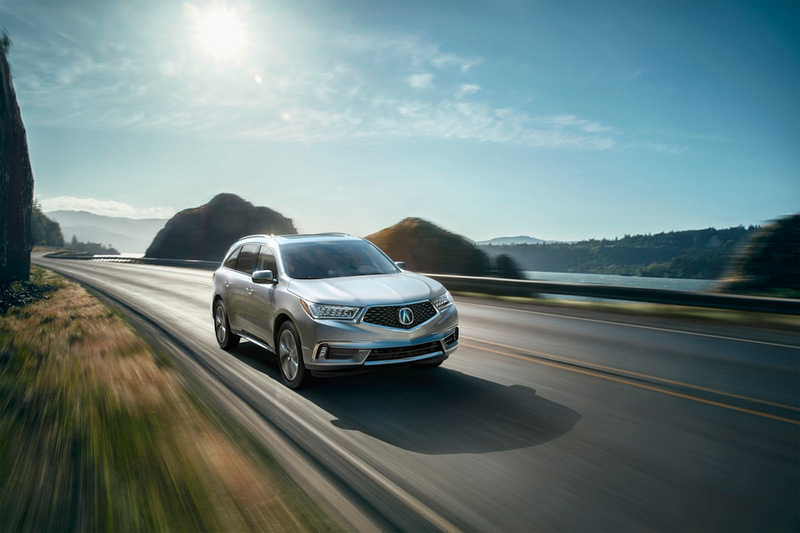 Integrated with a more sculpted hood, front fascia, front fenders and revised Jewel Eye™ headlights, the result is a more “executive athletic” appearance for Acura’s class-leading luxury SUV. Additional styling updates include new chrome rocker panel trim, a revised rear bumper and skid garnish, and the return of visible dual exhausts with bright finishers. 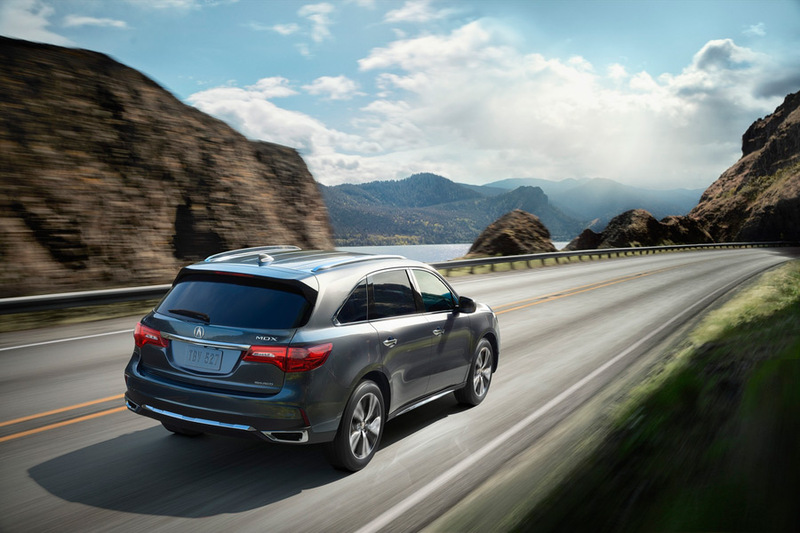 All 2017 MDX models benefit from increased standard luxury and technology features, including an Electric Parking Brake with Automatic Brake Hold, Auto High Beam headlights, SiriusXM Radio 2.0, four 2.5-amp USB charging ports and capless fuel filler. 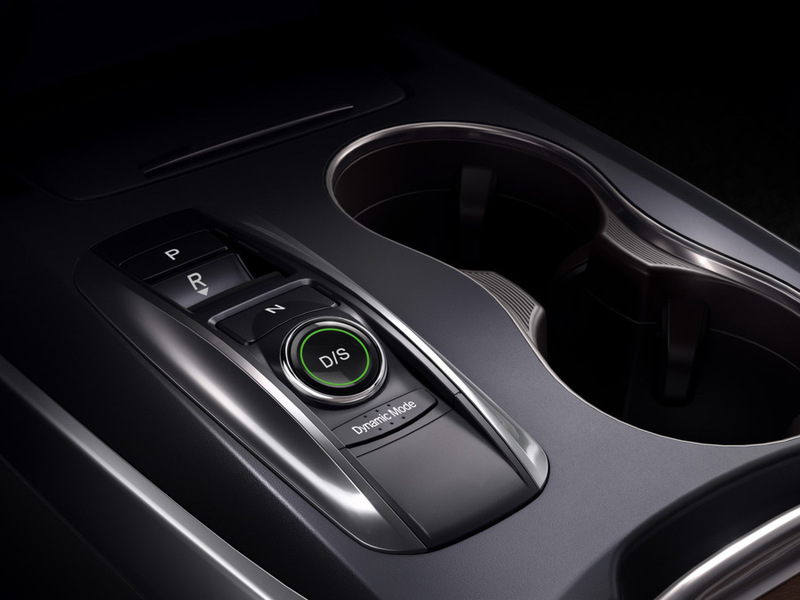 Technology and Advance packages add Bi-Directional Keyless Remote Engine Start, two new 20-inch wheel and tire options, power folding side mirrors, and HD Traffic. In addition, Advance grades add LED fog lights, genuine Olive Ash Burl or Black Limba wood interior trim, a heated steering wheel and Surround-View Camera System with six selectable viewing angles. 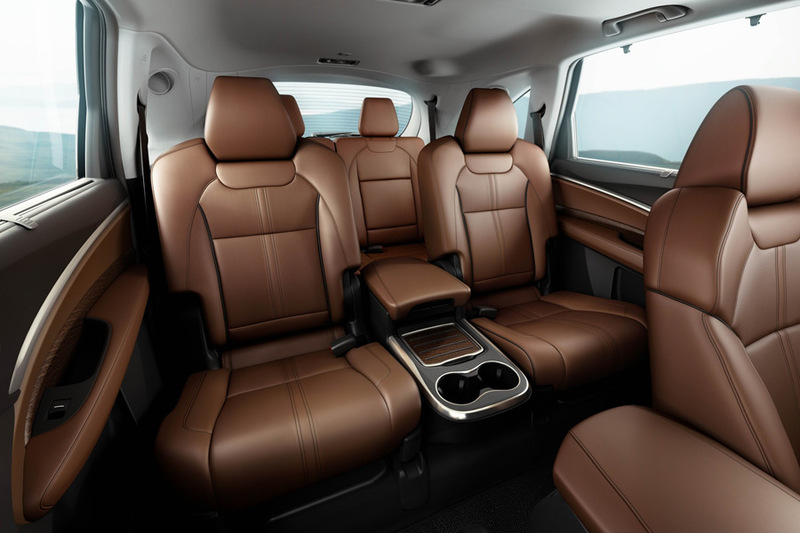 Advance models can also be equipped with two second-row captain’s chairs and a center console with two additional USB ports for third-row passengers. 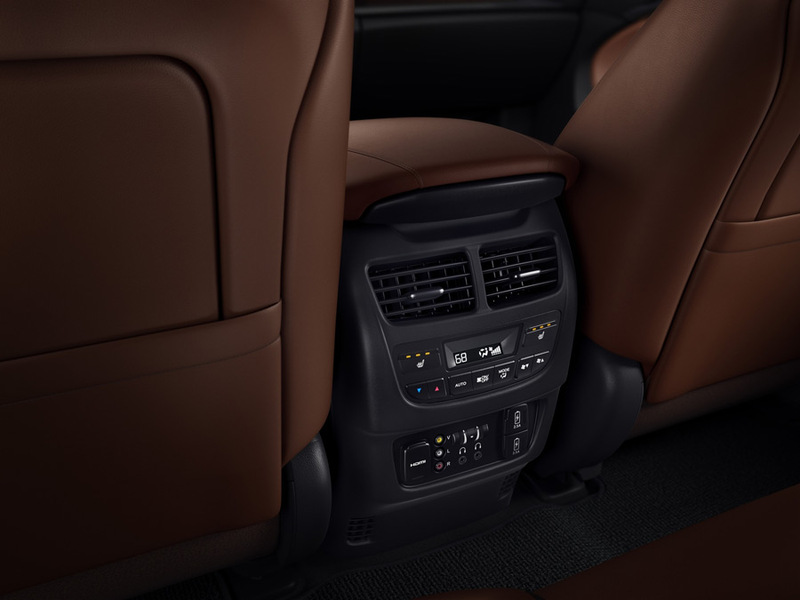 An ultra-widescreen Rear Entertainment System is also available on models with the Advance ENT Package. 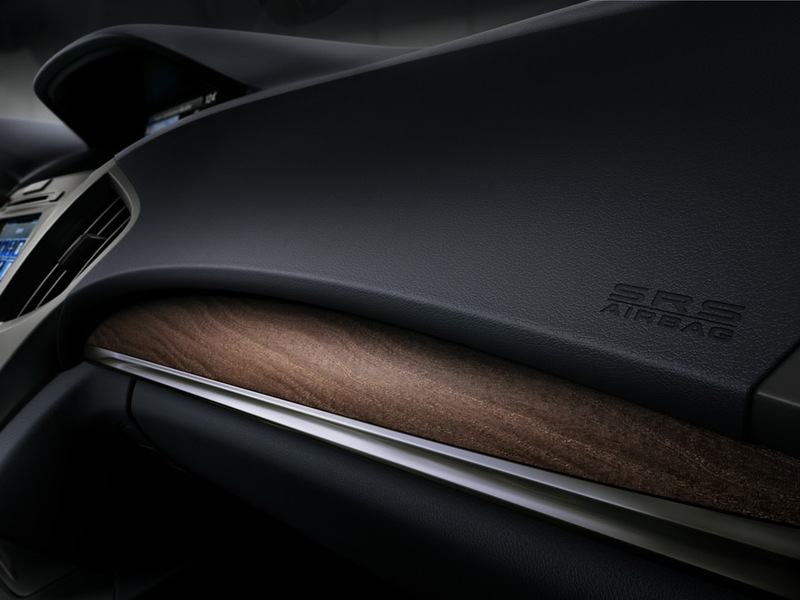 All 2017 Acura MDX models come equipped with the AcuraWatch suite of safety and driver-assistive technologies: Collision Mitigation Braking System (CMBS), Lane Departure Warning (LDW), Forward Collision Warning (FCW), Lane Keeping Assist (LKAS), Adaptive Cruise Control (ACC) with Low-Speed Follow (LSF) and Road Departure Mitigation (RDM). All models also come equipped with a multi-angle rearview camera, and upper grades add blind spot information (BSI), front and rear parking sensors, Rear Cross Traffic Monitor and new Auto High Beam. 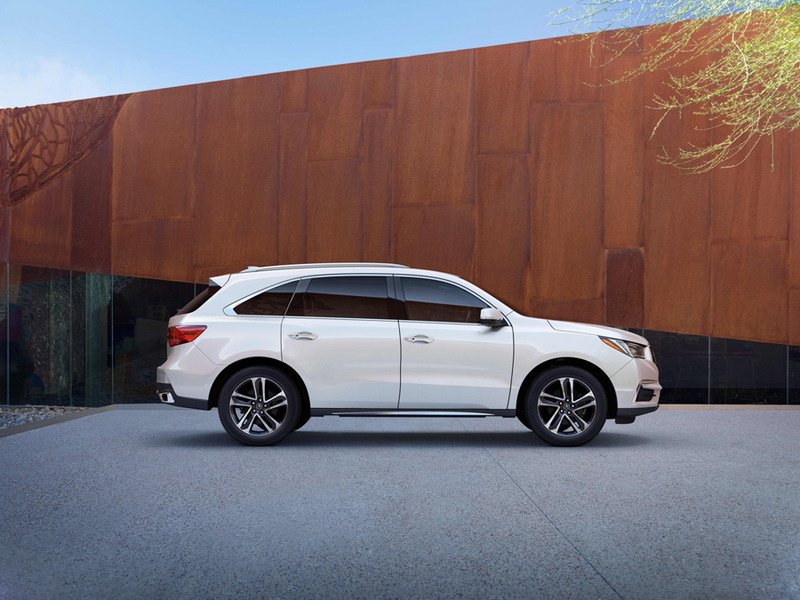 Combining AcuraWatch with Acura’s next-generation Advanced Compatibility Engineering™ (ACE™) body structure, the 2017 MDX delivers intelligent safety and confident driving performance at the top of the competitive segment and targets top safety ratings; a five-star Overall Vehicle Score from the National Highway Traffic Safety Administration (NHTSA) has already been achieved, and a TOP SAFETY PICK+ rating from the Insurance Institute for Highway Safety (IIHS) is anticipated. 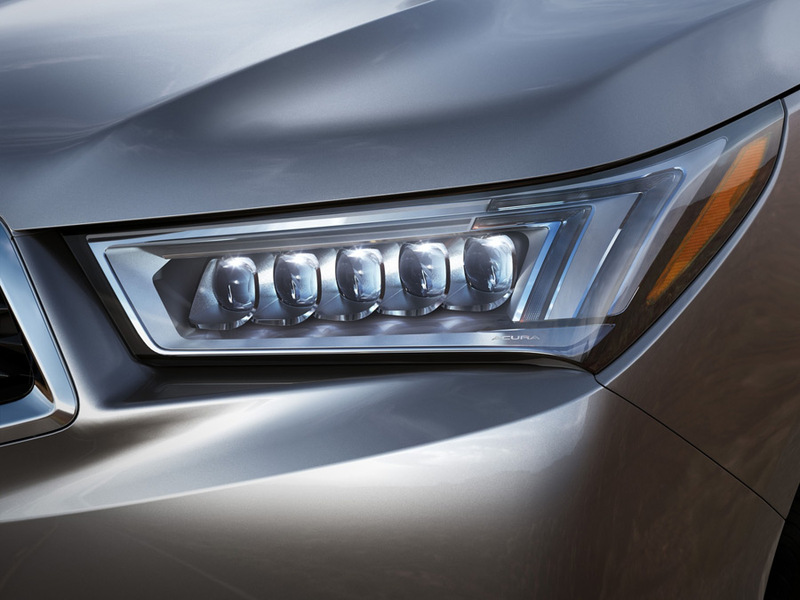 The 2017 MDX leads its class with its combination of refined and responsive power and outstanding fuel efficiency. The 3.5-liter direct-injected i-VTEC® 24-valve V-6 engine is rated at 290 peak horsepower and 267 lb.-ft. peak torque. 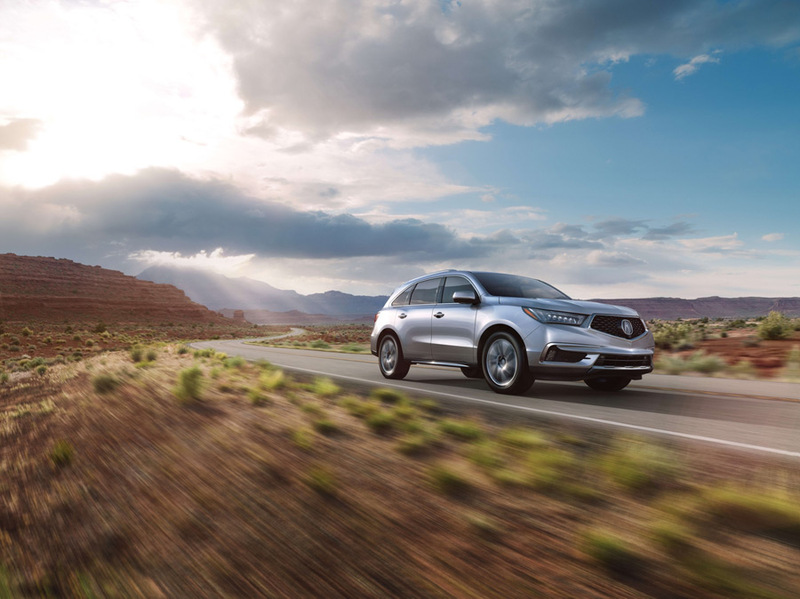 The 2017 MDX with front-wheel drive and Idle Stop has an EPA fuel economy rating of 20 mpg city/27 highway/23 combined, and MDX with Super Handling All-Wheel Drive (SH-AWD) and Idle Stop is EPA rated at 19 mpg city/26 highway/22 combined. 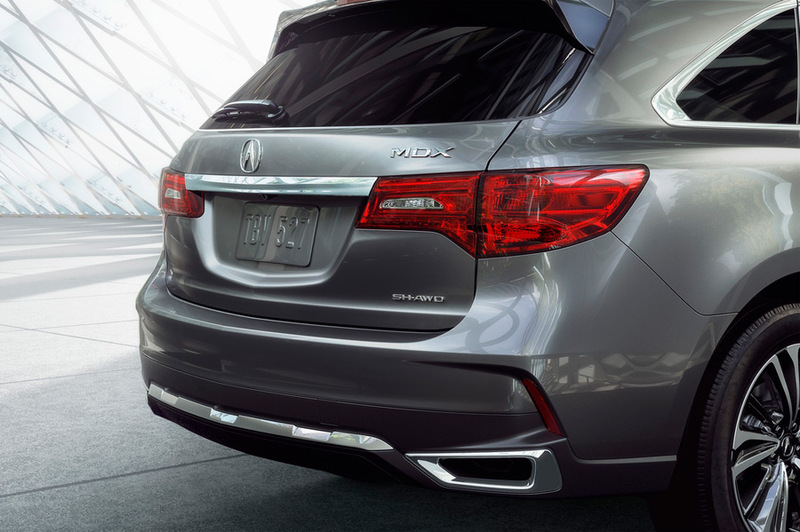 The MDX also meets the stringent EPA Tier 3/Bin 125 and CARB LEVIII ULEV-125 emissions standards. 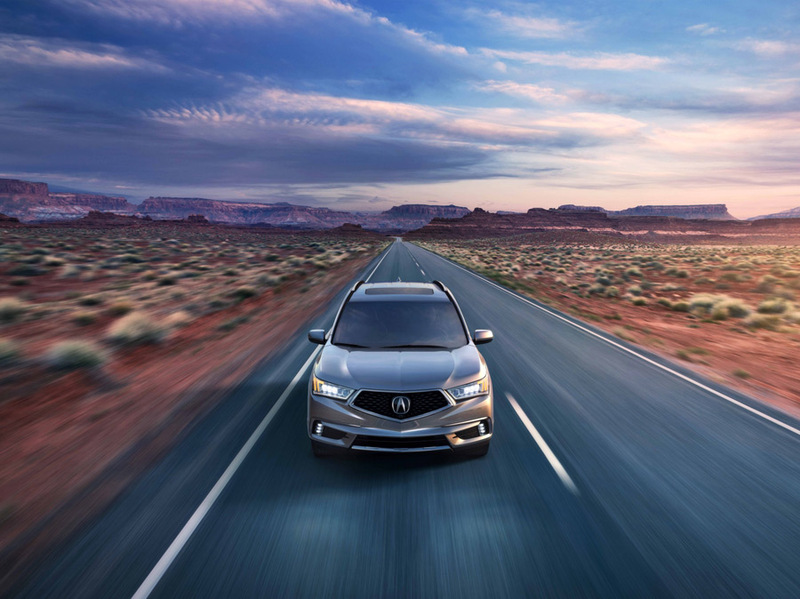 An available Sport Hybrid Super Handling-All Wheel Drive™ (SH-AWD®) powertrain variant will be available later in the year, making MDX the third model in Acura’s lineup to utilize its revolutionary three-motor Sport Hybrid powertrain with electric torque vectoring. Additional media information including pricing, features and high-resolution photography is available at www.acuranews.com/channels/mdx. Consumer information is available at www.acura.com. To join the Acura community on Facebook, visit facebook.com/Acura.